I am jealous you guys are going to have a great time. I just made a road trip through there. Just missed the show by one week, what a bummer. Unfortunately I had no more wiggle room with my schedule. I was lucky enough to see my friends Unrestored 69Z, and purchase a clean 2010 Camaro SS (for my wife) on the trip so it was not a total loss. I look forward to all the updates and pics! A few more things learned or happened to see at MCACN along with some info I was asked to show. 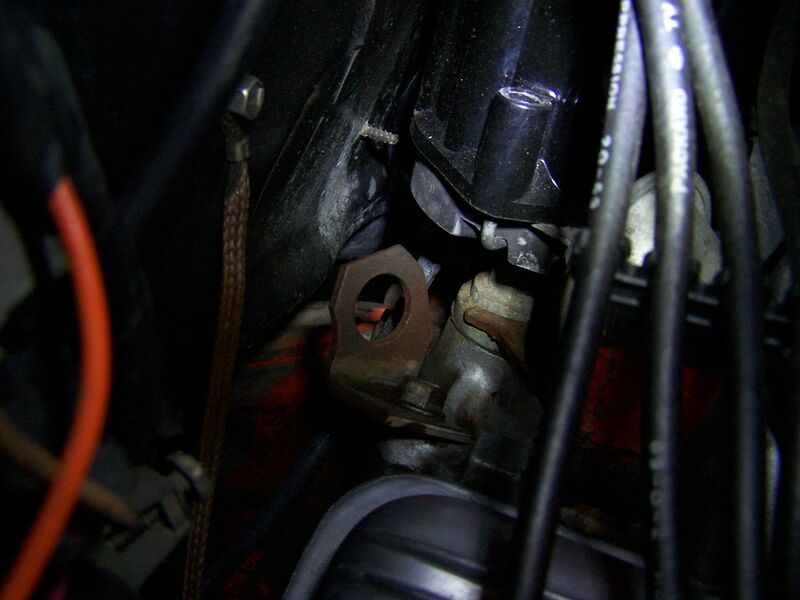 Engine lift bracket and intake bolt (Intake bolts are phosphate) have silver paint on. 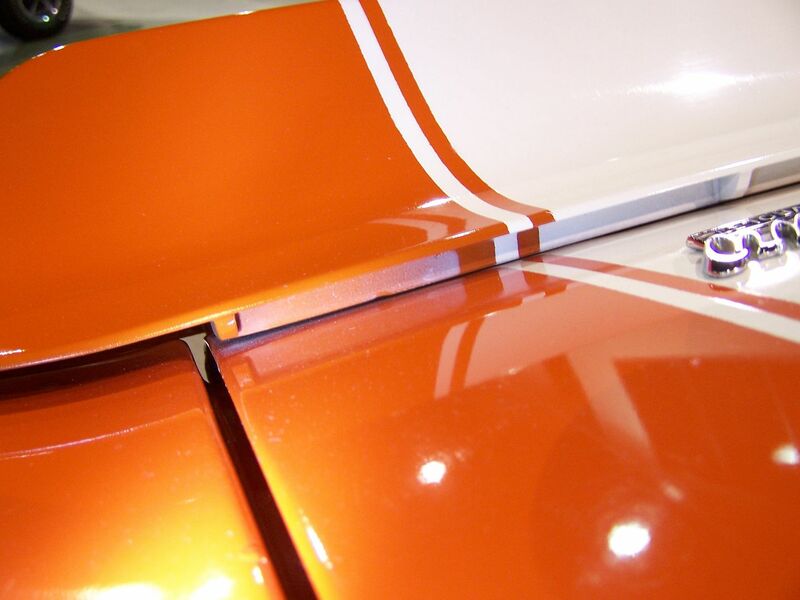 Detailed pic showing underside of spoiler stripe paint. 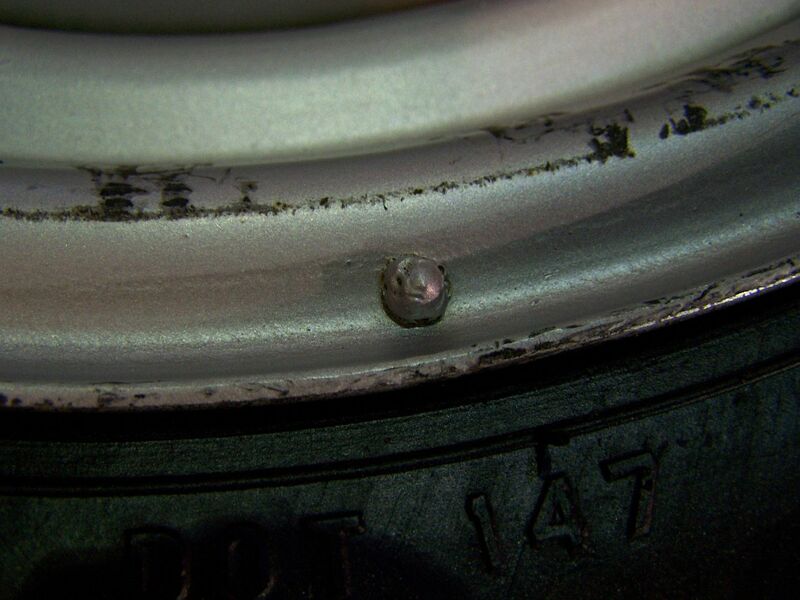 Weld bead on wheel and paint dab on tire used to assist with ease of balancing or obtaining a good balance first time. 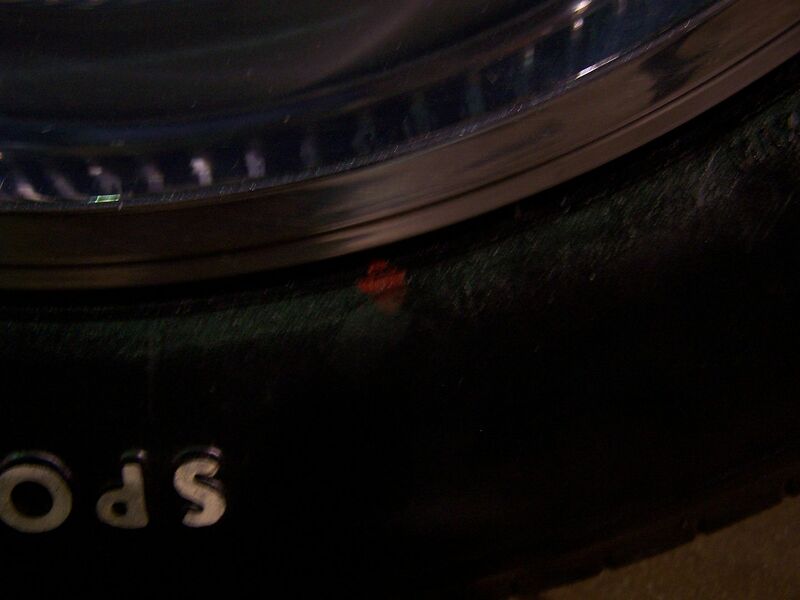 Good reason we seldom see large amount of lead weights on survivor wheel/tire combo's. 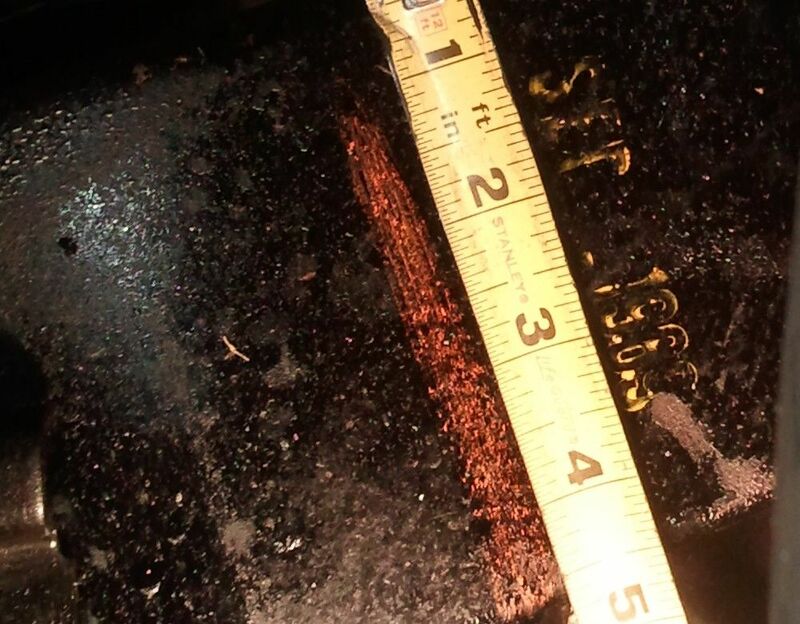 And was asked to show the size of the date stamp on the sub-frame. Letters/numbers are approximately 1/2" in height. This was pointed out to me at MCACN that it shows late built Camaro's with spoiler at some point changed from the normal earlier rectangular square corner slot to a radius. that rear spoiler pic has me thinking. Can someone post a pic of the squared off hole? when did they make the switch? Not sure when switch was made but must be late year as several spring 69 cars looked at have the rectangular type. See Danny's survivor for picture of rectangular type posted. Interesting, might be another research topic to narrow down the date, and figure out why this may have happened. One thing I noticed on my unrestored car is a grease pen type date on the under side of the left wing, it says "6-24 D" . Not sure if you saw anything on the underside of this wing that would be similar. I will have to get at the right angle , and see if I can figure out which spoiler I have on my 08C car. 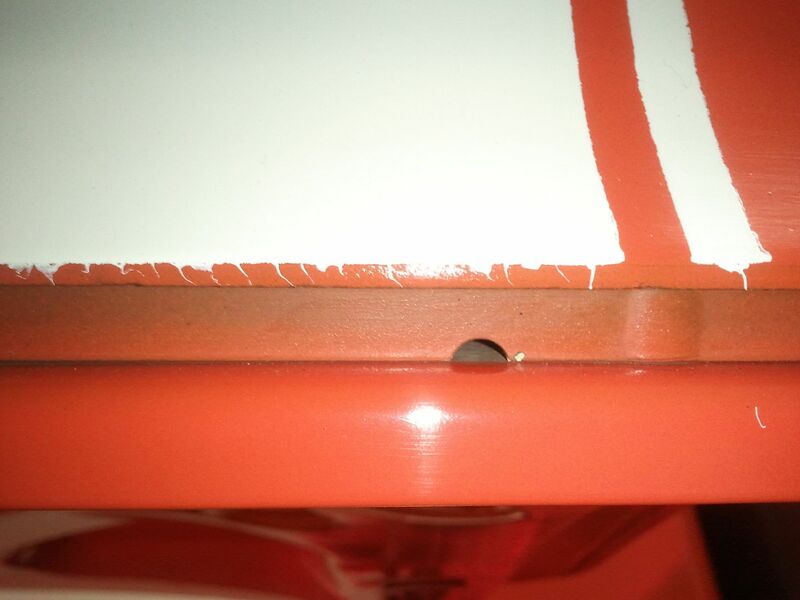 My 07A Z/28 spoiler with original paint has the radius slots like Chick's photo. Austin, after your comment, I looked and sure enough there is a writing on the left wing of mine as well....It's hard to read but pretty sure its M528. So far, every original part on my car is dated May or June. Chick, thank you for the continued photos! Well maybe we should start a new thread on spoilers? thats 2 that have the markings! Here's another shot of the frame marking on Skip's car. I took this at MCACN last month. I thought this was interesting. On spoiler cars, I thought the holes for Camaro trunk emblems were drilled in both the lower and upper positions. There is no sign that the lower holes were ever drilled on this lid. Also, there are no acorn-style nuts along the back edge spoiler studs. Notice that the inner part of the stripe on the cowl does not follow the contour of the sunken area. It extends back from that about 1/4" or so. Most Z's I've seen are masked this way on the cowl panel but if people don't have an original example to go by, they typically follow the contour line. 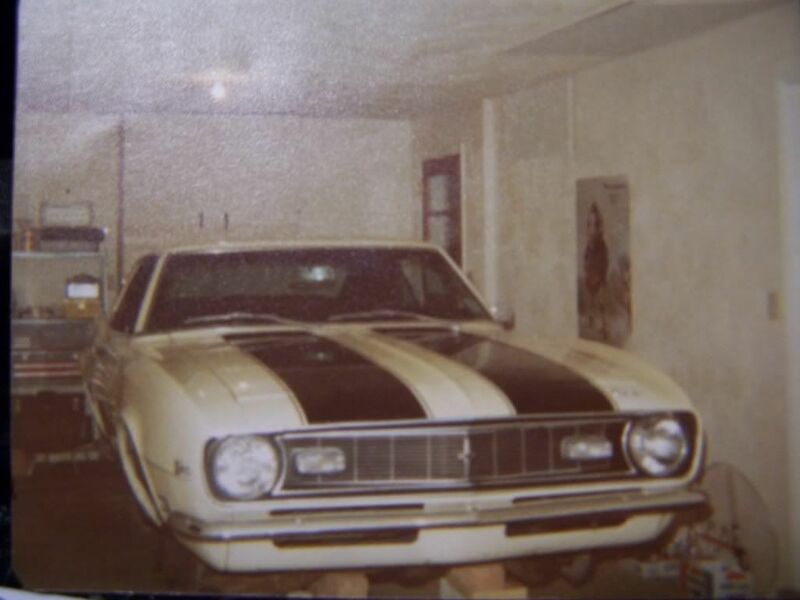 I think mid 69 they switched from acorn nut to the ones in your picture for the rear spoiler. My 08C car has the same kind as Skips car, while I am pretty sure JohnZ 02D car still has the acorn nuts. I would have to go back and look at the stripe layout, good observation. From my database of trunk lids it appears around April - May the cars that had spoilers did not have both sets of holes.. I can not say for certain that the nuts are correct or original.. Excellent observation Mr. Mello!! Excellent Jon! Know Lloyd has some good pics he could share also! Help me but believe JohnZ or someone along the line stated the top holes were pierced (all the earlier lids) when the deck lid was made making only spoiler cars needing the drilling at the plant.